If you wanted to buy a new 'vette in 1983, you could. It wasn't the kind built in Bowling Green, KY, though. It was an anemic econobox. With a little tweaking, however, you could make one of them keep up with traffic. 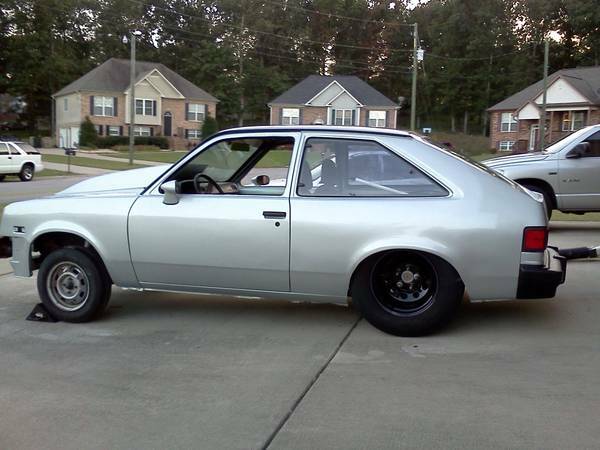 Find this '83 Chevette for sale in Birmingham, AL for $3,800 via craigslist. In the case of this car, a little tweaking means stuffing it with enough cage and reinforcement to handle the torque of a locomotive. 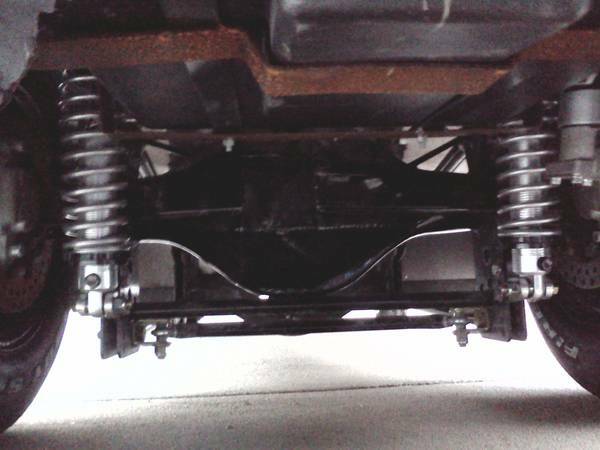 With a fuel cell, rear end, suspension and tires to match, this Chevette is almost ready to destroy the 1/4 mile. All it needs is the heart of a champion. Hopefully the builder of this car paid attention in shop class, as you would not want to find out about poor craftsmanship at the end of a 150 MPH pass. 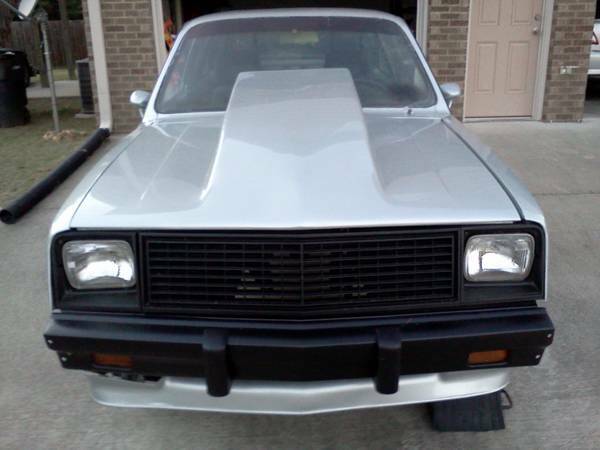 Instead of going all-out, you may want to put a nicely warmed over SBC inside with a Lenco manual transmission. Perhaps you could have something streetable that doesn't need a parachute at the track. Whatever you decide, you will have something that is definitely not a classic muscle car, not a sleeper, and not something you see every day. Your $3,800 gets you a pretty good start toward what will certainly be a wild ride. Question is: do you have the guts to complete it? Question is: do you have the guts to complete it? Well, yes. 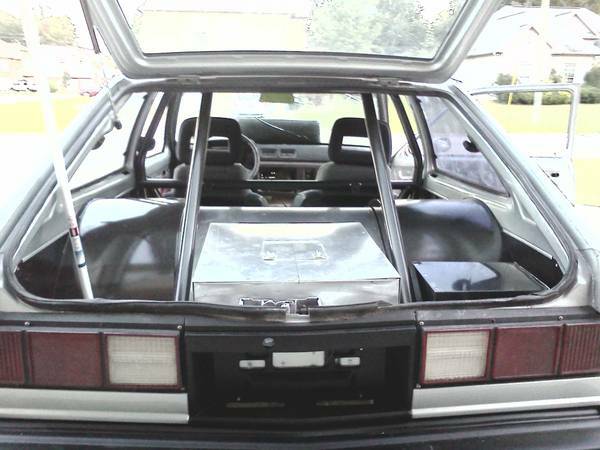 But that is overwhelmed by the fact I don't want to die quite yet, and least of all in a Chevette with a similar wheelbase to my Honda push mower. I can remember back in the day one of the cubscouts in my pack getting dropped off in something like this. Was that the kid whose dad did time for distributing Meth? Im not really into drag racing but ive always loved the fact that they dont limit thselves to cars that make sense. If youre doing a fully tubbed and caged car then the shell really doesnt matter. So any POS can become a 9 second beast. If youre cheap grab a 5.3 ls from the junkyard, throw a cam in it, valve spring, pushrods, cheap turbo an intercooler, decent meth kit, megasquirt and hang on for dear life. Oh and a th400. A lenco would be awesome but im poor.